WASHINGTON, D.C. -- For American employees who like their jobs, going back to work on Mondays after the weekend is a much smoother transition than it is for those who don't. Employees whose work or workplace is less engaging or disengaging experience a significant downgrade in mood going from weekends to weekdays. Engaged workers feel nearly as good on the weekdays as they do on weekends, which is not the case for Americans in general. They are equally likely to report a lot of happiness, smiling and laughter, being treated with respect, and not a lot of anger regardless of the day of week. And, for engaged workers, learning and doing something interesting peaks during weekdays. In contrast, those who are either not engaged, or actively disengaged, are significantly less likely to report experiencing these positive emotions and more likely to experience anger during the workweek than they are on the weekends. 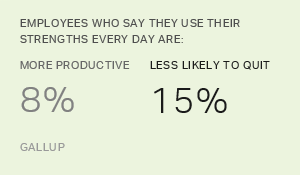 These findings are based on data from the Gallup-Healthways Well-Being Index and include Gallup Daily tracking data on American workers' engagement levels. Gallup's employee engagement index is based on extensive research on actionable workplace elements with proven linkages to performance outcomes, including productivity, customer service, quality, retention, safety, and profit. Thirty percent of U.S. workers were engaged in their work and workplace during the first half of 2012. Engaged workers are involved in and enthusiastic about their work and contribute positively to their organization. Fifty-two percent were "not engaged" and 18% "actively disengaged," meaning they are emotionally disconnected from their workplaces and are less likely to be productive. Despite their resilient positivity, even engaged workers aren't immune to increased stress during the workweek. All workers, regardless of how engaged they are in their job, are more likely to report worry and stress and less likely to say they feel well-rested on weekdays compared with weekends. However, the drop-off in feeling well-rested for not engaged and actively disengaged workers is about twice as great as it is for engaged workers. And, worry and stress are substantially lower for engaged workers than for others on all days of the week. The relationships between work engagement and emotional health by day of week hold after controlling for household income, age, gender, and number of children in the household. Engaged workers maintain a positive mood throughout the entire week, while those who are not engaged or who are actively disengaged see their positivity sink during the workweek. Thus, engaged workers have a leg up on most other American workers, who, in general, report less positivity and are less likely to feel well-rested on weekdays. While stress and worry increase during weekdays for all workers, those who are engaged offset the stress with high levels of interest, feeling respected, and happiness. It is likely they channel higher weekday stress in productive ways. Disengaged workers have worse weekdays and weekends than others. This may be partly due to a carry-over effect -- meaning individuals' work experiences carry over into their home life. There also may be a small, but significant, trait component to work attitudes. While findings revealed in this article can't address these causal issues directly, it is likely both of these things help to explain the generally worse weekend moods of disengaged workers. These findings add to the list of engaged-worker benefits Gallup has already discovered. Some benefits include that engaged workers are more productive, in better health, are immune to stress from commuting, and are more likely to be thriving in their overall lives. It is possible that the repeated negative weekly transition from weekends to weekdays that the less or actively disengaged workers experience is having a damaging long-term effect on them. That is, more than two-thirds of workers have less than engaging work environments and experience a sharp change in mood from weekend to weekday. This significant shift in mood, repeated in weekly cycles over time, may be wearing on the psychological and physiological resiliency of workers, making them less healthy and less productive. Large-scale studies suggest heart attacks, for example, are more likely to occur on Mondays than any other day of the week. Studies also suggest people are more likely to make poor dietary choices in times of stress -- which could add up to a lot of unhealthy eating for workers who aren't engaged. Additionally, Gallup research suggests the well-being of actively disengaged workers is, in many ways, worse than that of the unemployed. As leaders continue to address America's health problems, it is important to consider the cumulative effect of the repeated patterns throughout workweeks. Additionally, organizational leaders can take action to reduce the sharp contrast in mood from weekends to weekdays. Every organization can measure engagement and there are a wide range of actionable steps organizations can take to improve the engagement, well-being, and performance of their workforces. These actions include identifying and leveraging the unique talents of managers and educating them about the most important elements of engagement. 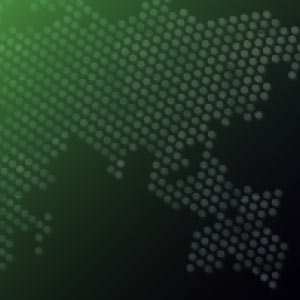 Gallup's employee engagement index is based on decades of research studying which workplace elements matter most in driving performance outcomes across organizations throughout the world. Gallup researchers identified 12 elements that are each actionable for organizational leaders and managers. A composite of employee responses to a series of engagement items is used to formulate the engagement index groupings: engaged, not engaged, and actively disengaged. Results are based on telephone interviews conducted as part of the Gallup Daily tracking survey Jan. 2-June 31, 2012, with random samples of 31,265 adults employed with an employer, aged 18 and older, living in all 50 U.S. states and the District of Columbia, selected using random-digit-dial sampling. Maximum margin of sampling error ranges for subgroups vary according to size, ranging from ±3.6 percentage points to ±2.0 percentage points.